This block was totally fun to design and pattern. Sooooo many circles! Here are a few tips for making this block. It was designed to be made with fusible web and machine applique. If you prefer a different method, feel free to use your method of choice. These circles are BIG and there are many layered and over-lapping pieces. All the templates are reversed (although that doesn't make much difference with circles). Trace one of each template on the paper side of the lightest weight fusible web you can find. I recommend Soft Fuse of Misty Fuse. Soft Fuse comes with a paper backing, Misty Fuse does not, so you will need parchment paper with it. Label every piece with template number/letter and fabric color. This is critical with this many pieces which are similar in size and shape. Smaller circles can be drawn inside the larger circles. All but the very smallest circles should be "windowed." That means you should trim out the center of the fusible web circles about 1/4 inch inside the traced line. This reduces bulk when layer applique pieces. Watch this video to see how to do this. Get the applique basket you made from last month's pattern. You will need it to make this month's complete block. Cut out around each traced template and sort them by fabric. Fuse the web to the back side of the applique fabric. Trim each circle on the traced line. Sort the circles into flowers, so all the pieces of a single flower are together. Use a zip top bag for each flower to keep them organized. Prepare the applique layout guide. There are 9 pages - yup this is BIG block. Tape the pages together on the registration lines. The complete block should measure 24-1/2" square. Cut your background fabric at least 25" square or more. Pin the applique layout guide to your ironing board. It may be bigger than your board so you might want to improvise with a larger surface. Then pin your background fabric to the layout guide so it doesn't shift. If you are using a light color background, you should be able to see the layout guide through your fabric. I recommend you use an applique pressing sheet to pre-assemble each flower. CLICK HERE to see how to use one, if you have not used one before. This will make it MUCH easier to position all these flowers on your background fabric. Once the flowers are pre-assembled, arrange the basket applique and the flower applique on the background using the layout guide for placement. Be careful about overlapping the flowers as shown on the layout guide. Go slowly, and don't fuse anything in place until you are sure you have it placed correctly. For example, place the basket down first and fuse it in place. Then slowly add flowers over the basket. Work from the back to the front, if possible, to layer things in the correct order. Be sure you use the correct iron temperature, time and pressure for your fusible product. And don't forget to take the paper off the back of your fusible before placing it on the background. A pair of bent nose tweezers are a big help in positioning applique pieces on the layout guide. Once all the pieces are fused in place you are ready to stitch down the edges. I will provide more detailed tips for how to do this in my next post. By the way, If you plan to sew on buttons (as I do) wait until AFTER the quilt is quilted. 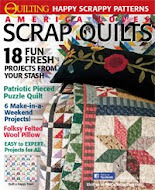 Your quilter will thank you. My favorite time of the year. . . . when a new Block of the Month is finally ready. And here it is. Click on over to the 2019 BOM tab for all the details. The first installment will be available on February 1, 2019, so bookmark the page so you can come back and pick up the pattern each month. December has been a very low key month for me. No travel, no retreats, no going out. Just time at home to rest and recoup from a busy year. Of course I caught a cold/flu/bronchitis because everyone knows that if you aren't busy you will get sick. Could have been a gift from the grandkids, but I don't mind, really. Love those little babies to bits. Here are two versions of a Quilts of Valor design featuring Northcott's Stonehenge Stars and Stripes VII collection. Super simple rail fence pattern in 2 versions. The first one is called Don't Fence Me in. The second one is called Don't Fence in my Eagles. These two will be going to the printer next week and will be up on my website in the next few days. One of the interesting things about designing for fabric companies, is that I supply them with dozens of designs (The same as many other designers), from which they only select one or two to feature with their fabric line. Totally understandable. They want a design which makes the most of their fabric and will help sell the fabric to shops. Knowing that, I design quilts which show off fabric, but they aren't always great designs, and they often do not pick my personal favorites among those sent in. So here are a few of my Outtakes. For example, for the Stars and Stripes collection I designed several versions which used the new Eagle and Flag panel. Here are my favorites, which were not selected. But I think they would make GREAT Quilts of Valor. What do you think? I love that they are a little off center and have different borders on two sides. The asymmetrical design reveals how unstable our current political situation is, but offers hope that the values which have and continue to give us faith in our republic are stronger than the current unsettled times might suggest. It was a subtle but positive statement filled with hope for our future and gratitude for our past. I suspect that was more than you wanted to know about these two designs, but I wanted to share that there is always a story behind every design, some more obvious than others. Another new pattern features Northcott fabric collection Atlantic Shore. I love, love, love the prints in this collections and plan to do a few more designs with it. It has lobsters and crabs! What is not to love about that? I grew up on the Great Lakes and have a natural love of all things coastal! Especially love eating all those aforementioned shellfish! After nearly 3 weeks of camping on the south Texas coast at Rockport, in November, I am on a first name basis with those tasty beasties. This first one is called Atlantic Compass. it is 51 x 51 and the compass blocks are paper pieced. I had to get the blue crabs in there. It was a touch choice between the blue crabs or the red lobsters. Northcott asked me to do a simpler version which featured one of the panels in this collection. Aren't these sea critter blocks fabulous? This second version is super simple and anyone who can use a rotary cutter and ruler can make this one in a day! But it is still totally fun with this amazing fabric. Yup, no piecing at all in this version. The center is one piece of fabric. Wow I love panels. Yes, there were a few outtakes from this group of designs as well. Some were a set of placemats which I thought were pretty fun. These feature a cut from the panel in the middle and some of the great associated print featuring crabs, lobsters and lighthouses. Notice how the side panels use background fabrics which start with sand on the bottom, then shells, then birds on the top. Is that cool or what? OK, I was feeling patriotic after working on all those Quilts of Valor designs so, just for fun, I designed a flag quilt featuring the red, white, and blue prints in this collection. Not a great design, but it was fun and I think it looked cool. I didn't figure they would choose this since they save all their patriotic designs for their Stars and Stripes series, but I just had to use the blue puffins somewhere! Aren't they cute? Now for something completely different. I designed some sweet baby quilts for Timeless Treasures using their Forest Friends collection. Gotta tell you, these are some adorable little critters. This collection will be in the stores in March 2019. My adorable niece Melissa just had twin baby girls, Molly and Nora, so I named the quilts after them, and when the fabric is shipped they will each get their namesake quilt. Here is "Welcome Molly" with sweet little cake stand blocks. These prints are so soft and delicate they look washed out next to these bold colors in the earlier quilts. Here is a close up so you can see these adorable hedgehogs, bunnies and owls. I loved the kitty applique and had to do at least one of these playful quilts with a kitty for my new grand niece. 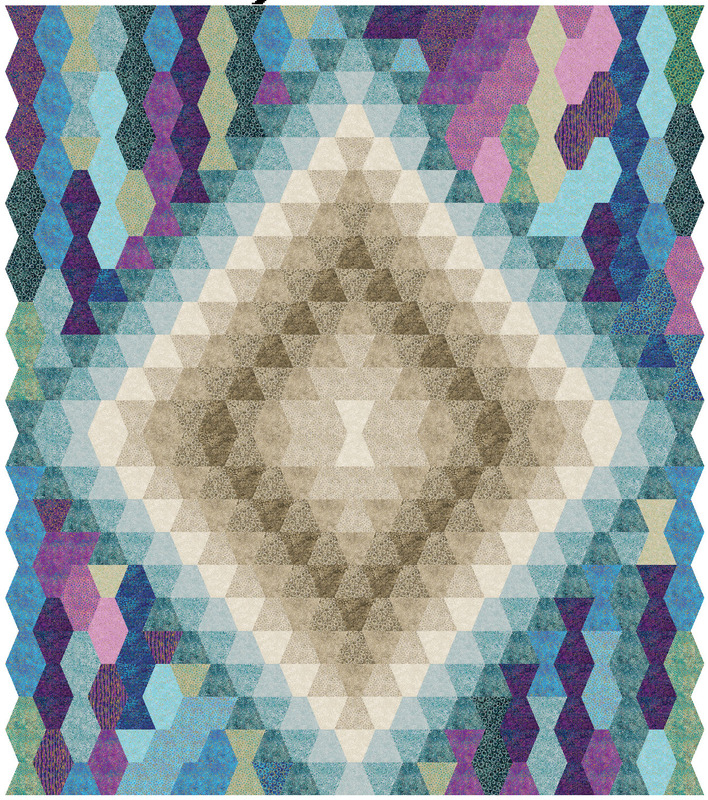 And the last thing I am working on is a collection of quilt designs for the new Northcott Shimmer collection, which will be featured at Spring Market in Kansas City. I can't show you the designs they chose, but here are a few of the outtakes. I don't know if these will get patterned or not. Depends on the feedback I get from all of you. My total favorite is called Frog in the Pond. Yes, they are all 4" tumbler blocks cut with the AccuQuilt tumbler die. Here is another of the tumbler outtakes. Here are a few more designs featuring the new Shimmer collections. Wait till you see the ones they picked! I'll be making them as soon as the fabric ships, and they will hang in their booth at market. All I can say is dust off your AccuQuilt cutter!!!! Speaking of market, I just sent in my contract to have a booth at the Kansas City Spring Quilt Market in May 2019. I hope you can come and take a look. I will also be vending and teaching at the Kansas City Regional Quilt Festival in June 2019 so definitely mark your calendar to come hang out at this amazing show. Ok, after all this, I am ready for my nap. Oh, and did I forget? I am working on a new block of the month for next year. Whew! I hope you will like it as well as the last few. It is tough to keep coming up with good designs to give away each year. But this is year 11, and as you know, I try to do something really different each year, and this next design is really different from what I have done in the past. Curious??? Good. Stay psyched for the big reveal January February 1, 2019. Happy Christmas and Merry New Year. 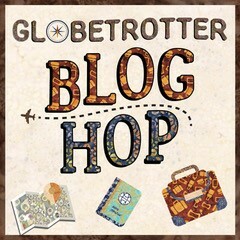 Welcome the the Globetrotter Blog Hop sponsored by Island Batik and fabric designer Tamarinis. I had fun using the fabrics in this line to showcase the versatility and fun of this fabric line. 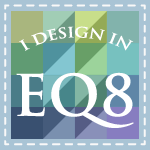 I did two designs in EQ8. This first one is called World Tour and I wanted the big flying geese to go around the intertwined Globe in the center of the quilt. And while we all may be in our own little corner of the world we are influenced by the rest of the world around us. The fabrics really helped to convey this theme. I ended up not making this design but worked instead on my second design called In the Pines. This design used the greens and golds in the fabric line, with a bit of the blue blobs (that is what I called them anyway). This was fun to make. First I made all of these rotary cut and traditionally pieced flying geese blocks. I love working with blocks which are the reverse of each other. Confusing at times, but the look is so interesting. 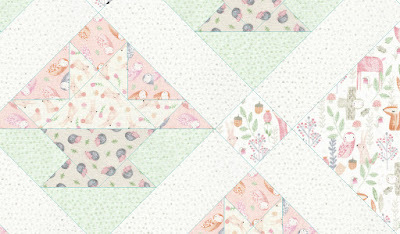 Then I paper pieced the setting triangles. These are a simple palm block set on point. Super easy to do. After getting all those flying geese blocks made I had fun putting rows together with sashing. This pix shows all the blocks on my design wall waiting for their row to be next. The pine tree blocks in the border are a variation of the flying geese block. It was a combination of paper piecing (geese) and traditional piecing (everything else). At the last minute I changed the border design to add a bit more interest and I really like the movement created by the directional trees. Wonderful quilting by Brenda Weien, machine quilter, added the final touch to the quilt. And here is the label on the back. Here are a few more designs I did for this fabric line that didn't make the cut, but you might like seeing some more ways to use this versatile batik. Thanks for taking a look and don't forget to go to the other blog hop sites. 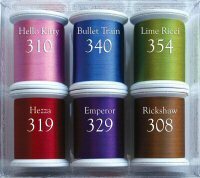 And be sure to enter the BIG DRAWING for a fabric collection. Leave a comment on my blog to be entered to win a free pattern at the end of the blog hop. What’s a blog hop without a little giveaway?! We have a yummy bundle of Globetrotter fabrics for one lucky winner! Enter to win via the link below. 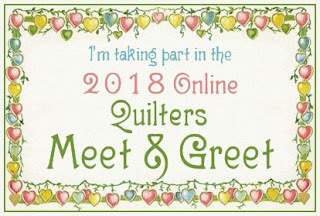 Want to see some great quilty eye candy and meet some great quilters? Oh and win some prizes? There is an amazing Grand Prize Give Away and you can enter on each blog you visit. Here is my favorite quilt of 2018! This is my Starburst Blossoms Block of the Month quilt for this year. The pattern is available on my website. 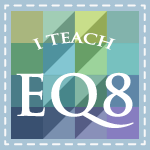 In fact, the September block just got posted and it is free! 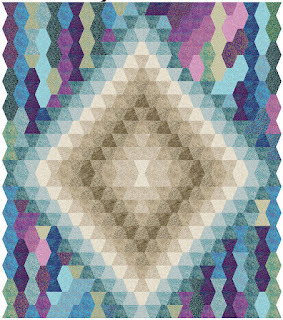 This quilt is inspired by a BOM I designs a few years ago, Vintage Sampler. It was such a popular block of the month on my blog that I wanted to play with a few of the blocks and turn them into cute wreaths inside a pieced block. I published a version of these blocks in a 30-block sampler that was featured in Keepsake Quilting Catalog and several big quilt shops around the country. But there were 42 blocks in the original BOM and I wanted to use some of the ones that didn't get into the published pattern. Next week I will share a few of my other favorite quilts. THEN. 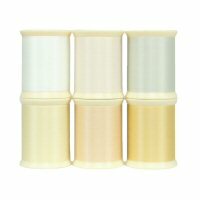 . . . .
4 pre-cut bundles from 4 Fabulous Fabric Companies! 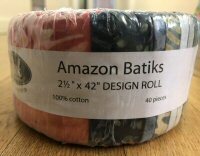 Amazon Batiks (2½ inch strips. 40 strips.) from Blank Quilting Corporation. Ask your local quilt shop for these beautiful batiks! 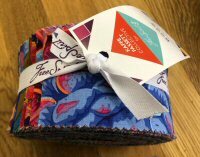 Kaffe Fassett Collective Spring 2018 collection Design Roll Dark (2½ inch strips. 40 strips.) from Free Spirit Fabrics. 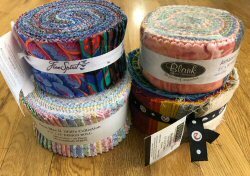 Ask your local quilt shop for these this colourful collection! Nana Mae II 1930's Collection (2½ inch strips. 40 strips.) from Henry Glass & Co., Inc. Ask your local quilt shop for these sweet, lovely fabrics! Brushstrokes by Pepper Cory (2½ inch strips, 40 pcs.) from Studioe Fabrics. Ask your local quilt shop for Pepper Cory Fabrics! 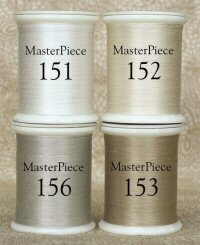 3 Different Thread Sets from Superior Threads! 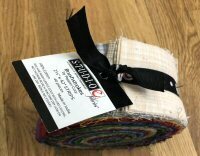 Be sure to sign up for Superior Threads great educational newsletter! Subscribe on the footer of their home page here. A Gift Box with 3 Scissors from Kai Scissors! 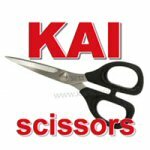 You can learn more about this wonderful set & Kai Scissors other wonderful products here. 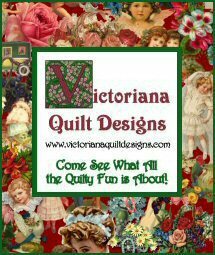 *NEW* Non-expiring Quilt Pattern Membership from Victoriana Quilt Designs! You can learn more & sign up for the *NEW* Non-expiring Quilt Pattern Membership from Victoriana Quilt Designs anytime here.